Here's my first tutorial on website hacking using SQL Injection attack with easy and simple steps. Many of us who are interested in hacking are well known aware about Sql injection attack by name but found it really very hard to understand and Inject Malicious code into url and get website Database. So this tutorial will help them to understand each and every step very easily and apply them accordingly. 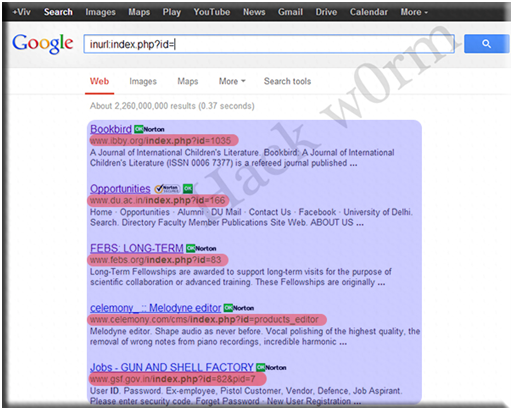 SQL Injection is one the most popular Web application hacking method. 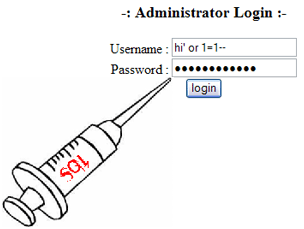 In SQL Injection an attacker find website vulnerability and Inject Malicious code into URL and get Database of Website and Hack the website this is called SQL Injection attack Exploiting DB (Database) and also SQL Injection Vulnerability Exploitation. Using SQL Injection attack method an attacker can get complete DB of website and User ID and Password can be exploded, an attacker can also Shut down My SQL Server and Server will stop working. 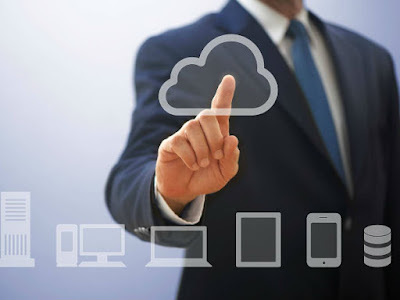 An attacker can modify content of website and bypass login. Little knowledge of SQL Injection and URL editing. Step 1. Find Vulnerable website. Definitely it will have because this all website having DB and SQL Injection String and related to SQL Injection Dorks. We found SQL Injection Vulnerable webstie now it's time to find no. of Columns present in the Database. Now same to find Column names, replace "group_concat(table_name)” with "group_concat(column_name)"
After Installing you can see the toolbar, and if you can't then Hit F9. Select sql->Mysql->MysqlChar() in the Hackbar. Great Here we found Username and Password Column :D.
Cool......! now you know the next step what to do :D..... get the ID and Password of Admin user using this Command into URL.Now replace group_concat(column_name) with group_concat(username,0x2a,password) or any other Column name you want to get Data.